To assess solvent resistance, first consider solvents spread out on a polarity scale. Non-polar solvents are at one end, such as paraffin, petrol and diesel. At the other ‘highly polar’ end we find alcohols and water. 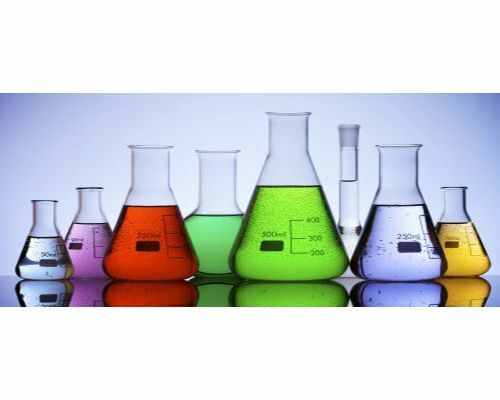 In between are moderately polar solvents such as acetone, esters and chlorinated solvents. On the same polarity scale we can place the families of thermoplastics. Polyethylene and polystyrene are at the non-polar end, polyamides at the highly polar end. PVC, acrylics and polyesters are somewhere in between in the ’moderately polar’ region. Where an amorphous thermoplastic and a solvent match up on the scale, we can expect total solubility, given a bit of time and heat to get the polymer to eventually dissolve. However, semi-crystalline thermoplastics will not dissolve at ambient temperatures although the amorphous regions would mop up the matching solvent and cause swelling. If a thermoplastic and solvent mismatch significantly on the scale then there would be little or no interaction, regardless of whether it is amorphous or semi-crystalline. This explains why styrene polymers are seriously affected by hydrocarbon solvents. In contrast, polypropylene and polyethylene, being semi-crystalline, show much better resistance at ambient temperatures. The polarity scale also explains why PVC is credited with ‘good chemical resistance’. Although PVC, a moderately polar, amorphous thermoplastic, can be attacked and dissolved in moderately polar solvents such as tetrahydrofuran, it is resistant to the solvents at either end of the polarity scale — oil, fuel and water, which of course are the more generally encountered every day chemicals. This article was written by Dr.Charlie Geddes for Hardie Polymers. Why not read more of Hardie Polymers knowledge base articles? Related Post What are Engineering Thermoplastics?